Here I come with another bag-related post. 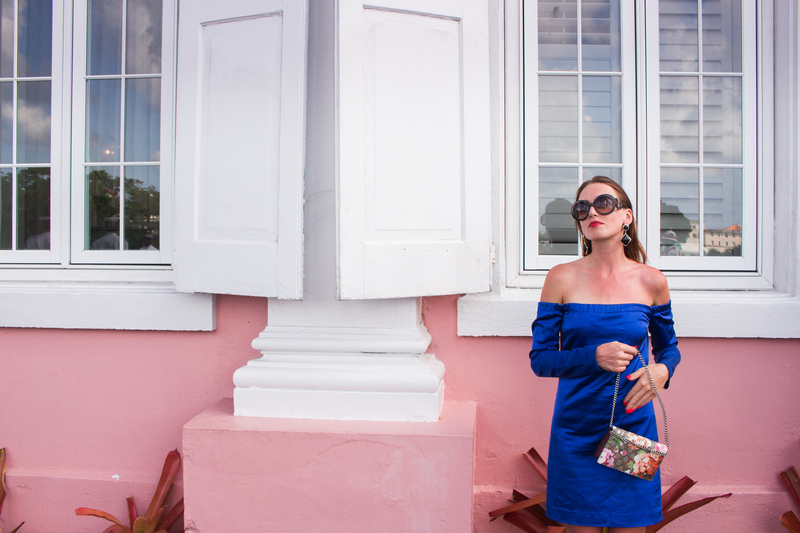 I do enjoy writing about them a lot – I can polemize about the handbags as long and as much as I want to, and no one is able to stop me 🙂 Unless you, dear reader, decide to skip this post or escape my blog never to come back. I sincerely hope it will not happen, and you will enjoy the list I prepared for today. I updated my must-have list. I have bought quite a lot of dream bags for over the period of two years, and I think my taste has slightly changed. 2018 me would rather invest in a crazy seasonal footwear and keep the handbags classy. For what reason? I have no idea, I guess I just like it that way. I am not planning to buy all those five amazing handbags at once – I suspect it would be a longer process, but I am sure I would feel bag-satisfied once I gather all of the listed items. Where do I plan to get them? I have the luck to be able to work in London and Berlin. Those cities offer the famous department stores, such as Harrods and KaDeWe. I will also search online – my favorite choices are fashionette.de, mytheresa and matchesfashion. I also search on Vestiaire Collective. I used to think Chanel classic flap bag is the highest the elegance can get. 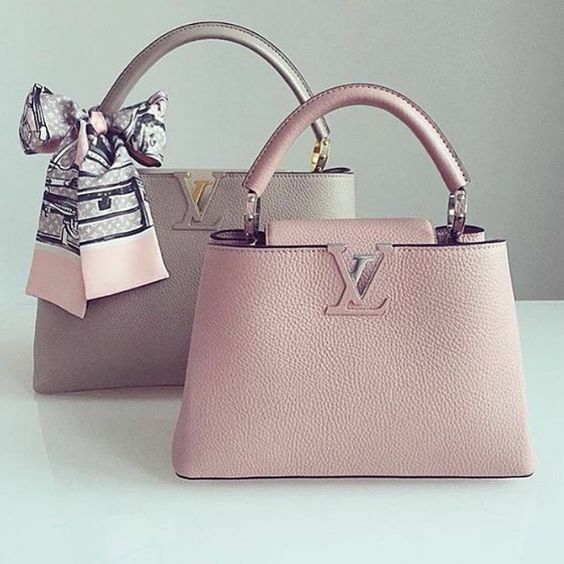 I changed my mind – LV Capucines is. It is such a timeless classic! It was first introdced in 2013, which makes it relatively ‘new’ on the classic market. It quickly became, however, loved by many stylish celebrities! I relate it to the most elegant ladies, such as Michelle Williams who collaborated with Louis Vuitton on presenting the Capucines bag. There are two sizes available for this bag, the MM and the GM – I would definitely go for the GM version as it would be more suitable for travelling. I am so in love with this bag! I really hope it would not appear to be a trend bag, as I saw it got quite popular on social media. It definitely holds its value – as the majority of Valentino Garavani, but it does not eliminate the fact it might just be a seasonal matter. Valentino Spike comes in three varieties of sizes, and it looks super glamour in two – the small and the medium sizes. The largest Rockstud Spike appears a bit too overwhelming, the way I see it. Just like the Classic Flap in a Jumbo size – too much is too much. Red and beige are definitely the most Spike-suitable colors. 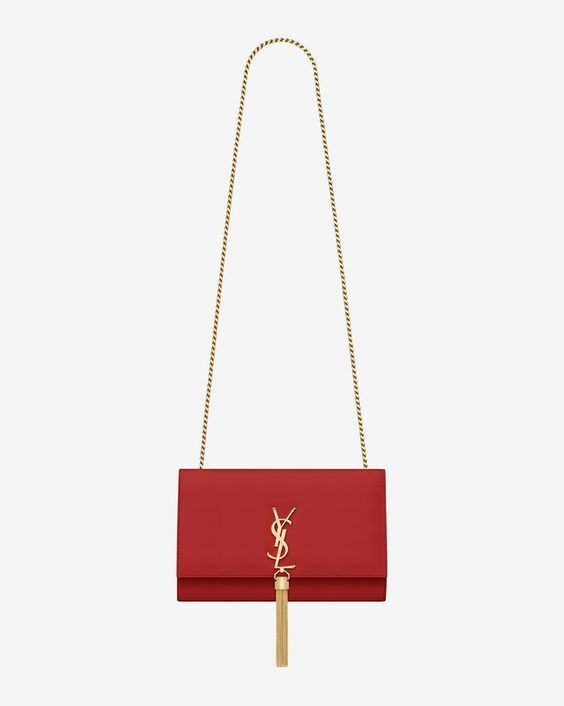 Saint Laurent Monogram has always been on my list. The reason I have still not been in a possession of one of them was its overall presence. It has luckily changed – it seems the Parisienne fashion clique swapped this model for Valentino Lock. Thank God. I think it is such a classy, feminine and elegant handbag! I just adore the tassel detail – it’s stylish, luxurious and exclusive but still manages to have a contemporary edge to it. Saint Laurent Kate comes in five different sizes, but I would love to get it in a medium or the new small version. I have fallen in love with this model once I saw it in Selfridges in November. It is one of the coolest shoulder bags I have seen. 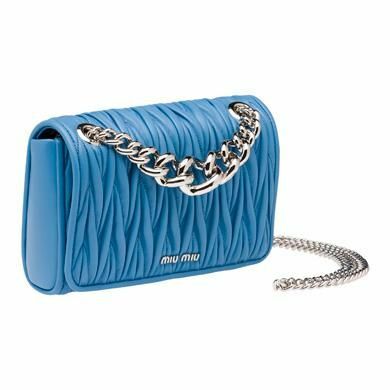 I am a big admirer of Miu Miu Matelassé unique design, but I think it looks its best in this particular version. It would make an incredibly great alternative to Chanel classic flapbag, and would definitely add the IT factor to every possible outfit. I definitely see it in a casual look, with jeans and white shirt! 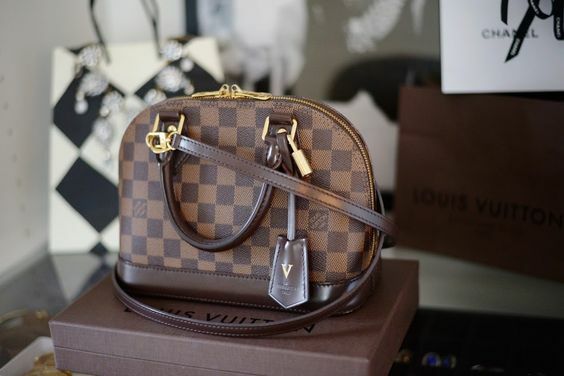 I was never really the biggest fan of Louis Vuitton – especially not the monogram and damier patterns. I was. I got my Alma PM last summer and it quickly became one of my favorite choices. It is such an incredible 1930’s style classic! It suits many different looks, both casual and elegant. 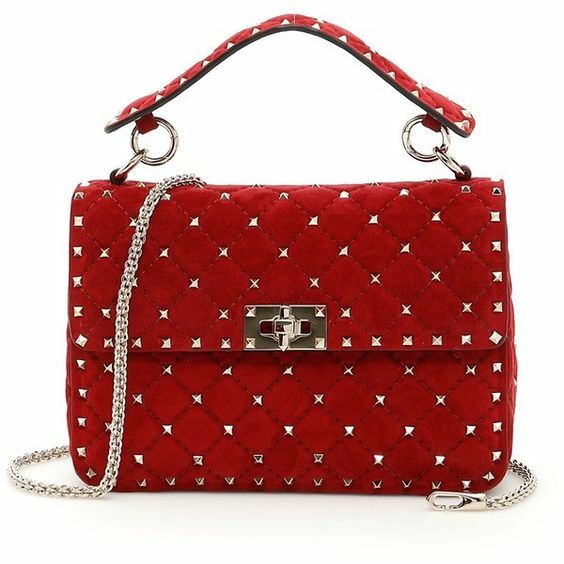 I think it is more of a ‘winter bag’, but would also look great with shorts and a white dress ( my favorite combo!). Alma in a BB size is more ‘lightweight’. It is way smaller, it could be worn cross body and I think it would look cool against my silhouette. This little handbag fits quite a lot, which is also a massive plus. Be sure to check my 2 best and 2 worst designer handbag choices here, and let me know what you think in your comments! Difficult to distinguish when fashion makes fun of us and when it’s serious. Lately our critical spirit is put to the test. You should totally get the Cappuccine! It’s such a beautiful bag! Love this wishlist, the Louis Vuitton Capucines is in mine wishlist as well! Great post, I love all bags.